We have given our website a fresh look to introduce us to you. 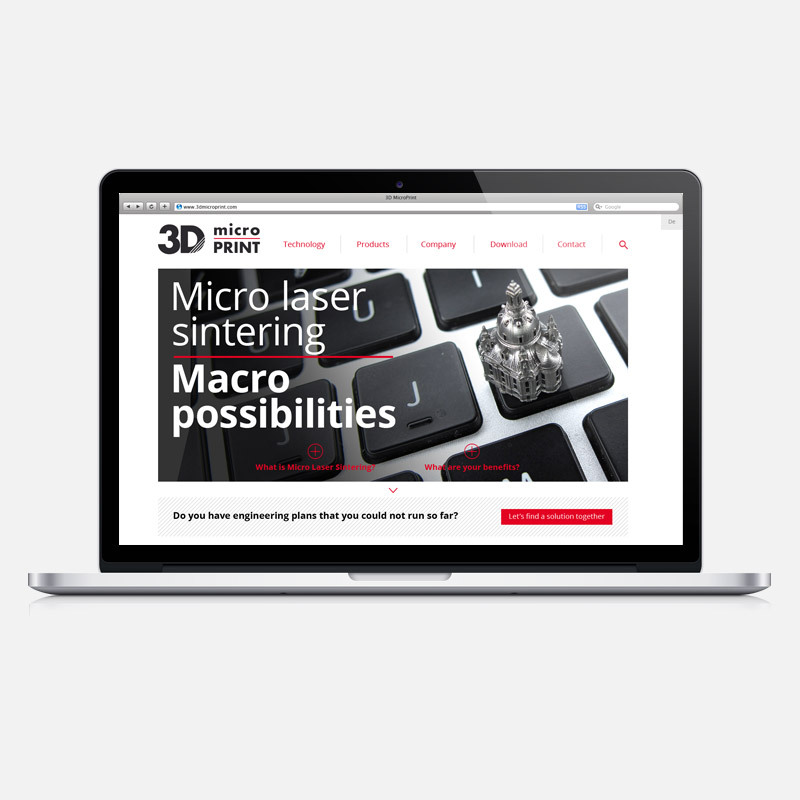 In Technology you find broad information to Micro Laser Sintering, the Benefits and some Case Studies that show the exceptional potential of the technology for your issues. Each task is different, so let´s find a solution together. The section Products contains our provided services, including the Parts production from unique to series components, our developed 3D printing Machines and of course the customized powder Materials we are using. 3D MicroPrint GmbH, Job Offers and our Quality Certificate (ISO9001:2008) on the website. Because we got a lot of good feedback from around the world, you have the chance to Contact us worldwide. We are looking forward to get a feedback. A pleasant welcome on our new website.